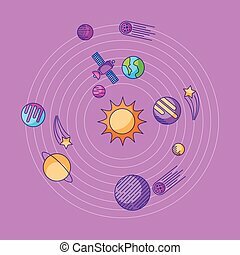 Universe cosmos and astronomy icons set vector illustration. 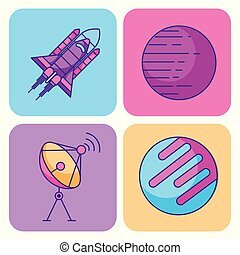 Astronomy Icons Set. 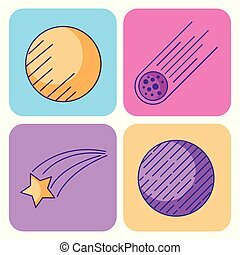 Planets and Galaxies and Meteors. 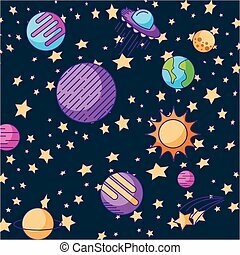 Telescope for viewing galaxies, star clusters, nebulae. Objects used for education manuals and science books, banners and flyers. 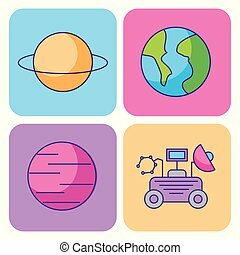 Astronomy Icons Set. Earth and Moon and Rocket. Moon rover for exploring different planets. 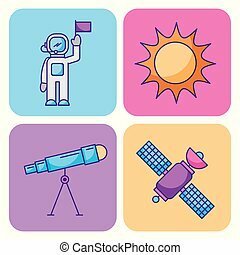 Objects used for education manuals and science books, banners and flyers. 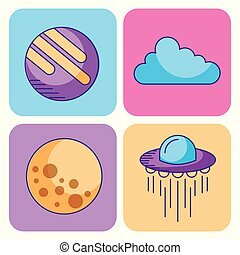 Astronomy icons set. Hand drawing illustration.